According to the victim’s assistance organization Safe Horizon, one in four women will experience domestic violence during her lifetime. 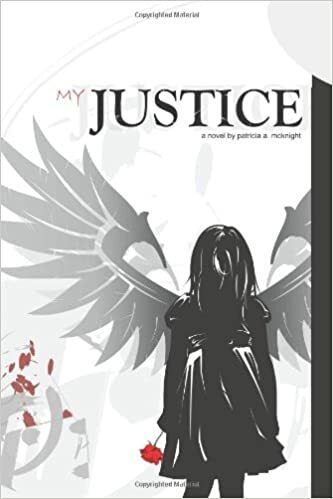 A survivor of such abuse, novelist Patricia A. McKnight offers an empowering narrative in My Justice (published by AuthorHouse). We are the survivors of a different time. A time when the man ruled the household and the children were seen but not heard. It was very different than anything my children and hopefully your children have ever known. The teaching back then was that nobody ever spoke of their pain or problems in public. We didn’t go to therapy sessions for help. We just followed the teachings of our parents and held true to the knowledge they gave us. Trecia Ann lives her life torn away from one family and abandoned by another. Her battles are fought with only her determination to change and grow as a woman and mother. Through 32 years of trauma, brutality and sadness she shows tremendous beauty as she struggles to gain back the happiness that has been robbed from her. My Justice is a brutally honest glimpse into one woman’s struggle to overcome the abuse – and its long-term effects – that nearly comes to define her. It offers a powerful narrative that shows a path away from fear and pain for anyone suffering from abuse – child, spousal or sexual. Patricia A. McKnight is a survivor of abuse who is driven to speak out and help empower other survivors from similar environments. She acts as an advocate, encouraging all to speak about their experiences without fear of retribution or judgment. May you have roses in your garden of life! !